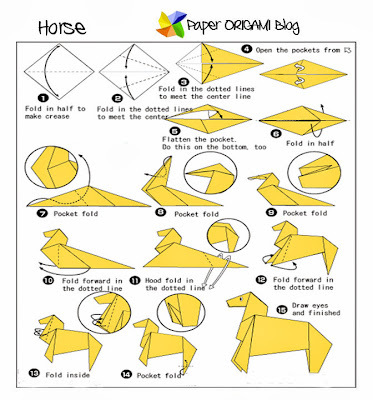 Horse Origami- Horse is a popular icon for animals, I know a lot of people who really like that animal. For me I never like that animal I don't know I have a lot of reasons. 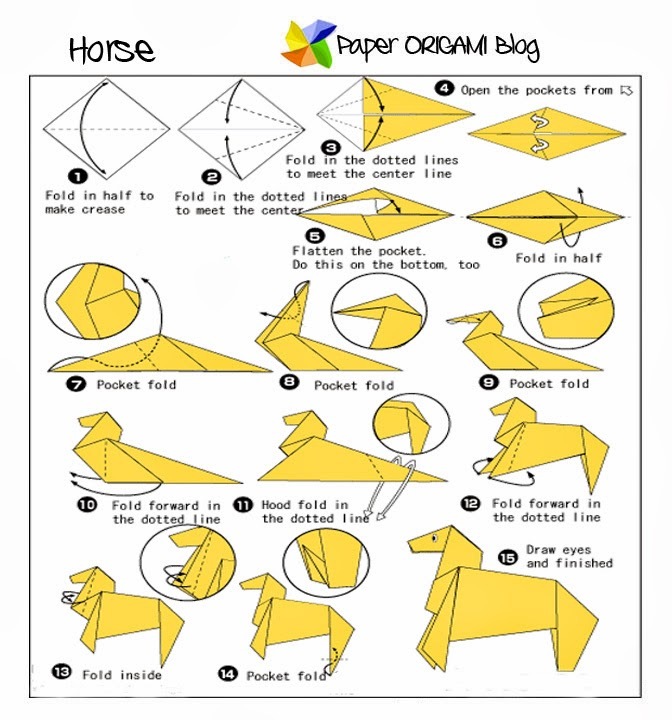 Anyway, today I'm gonna give you the diagram of folding Horse as an origami. The picture on the left side is the finished product. Its really fun and easy to fold. Just follow the diagram below.